The report shows some borrowers weren’t getting the guidance and protection they needed as they sought the best plan for paying off their student loans. The nation’s student loan debt now stands at $1.5 trillion. 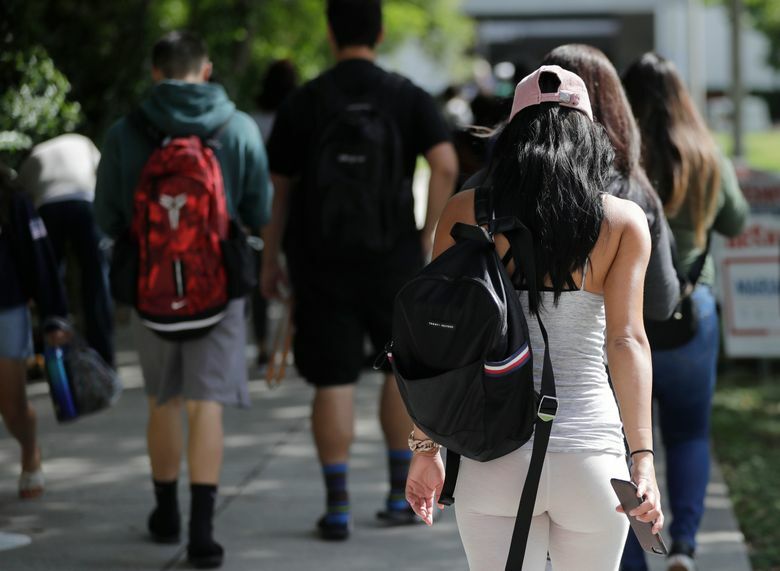 NEW YORK (AP) — The nine companies and organizations tasked with servicing the accounts of the nation’s 30 million student loan borrowers repeatedly failed to do their jobs properly over a period of years and their regulator neglected to hold them responsible, a new report finds. The report released Thursday by the Department of Education’s independent inspector general’s office shows some borrowers weren’t getting the guidance and protection they needed as they sought the best plan for paying off their student loans. The nation’s student loan debt now stands at $1.5 trillion. The Inspector General’s report focused on the operations of Federal Student Aid, a part of the Department of Education that oversees student loans, from January 2015 to September 2017. FSA also oversees student loan servicers, making sure they are in compliance with their contracts with the federal government. In its response to the inspector general, the FSA disagreed with the report’s conclusions but agreed to follow its recommendations. In its report, the inspector general highlighted two recurring problems in particular: Loan servicer representatives failed to inform borrowers of all their repayment options and they miscalculated a borrower’s monthly payments under certain types of repayment plans. “The report makes clear that the issues borrowers have been facing in the student loan market are far more pronounced and more significant than we even realized,” said Seth Frotman, president of the Student Borrower Protection Center and a former government official who oversaw student loans at the Consumer Financial Protection Bureau. The Inspector General’s report concludes that FSA’s pattern of not holding student loans servicers to account may have “harmed students” and may have hurt taxpayers because student loans servicers were paid for services they provided poorly. Navient also said it refutes conclusions made in the inspector general’s report that it sometimes fails to inform borrowers about all their repayment options, a critique also made in an earlier report from the FSA. Some servicers were worse than others. The Pennsylvania Higher Education Assistance Authority, which is known better as FedLoan Servicing, was given failure ratings on 10.6 percent of its calls that FSA monitored in April 2017. The next month was no better, with FSA given a failure rating to 8.6 percent of the authority’s monitored calls. A spokesman for Pennsylvania Higher Education Assistance Authority was not immediately available for comment. Ken Sweet covers banks, student loans and other financial issues for The Associated Press. Follow him on Twitter at @kensweet.